Saveur group is known to offer affordable French fare at 2 restaurants in Purvis Street and Far East Plaza. 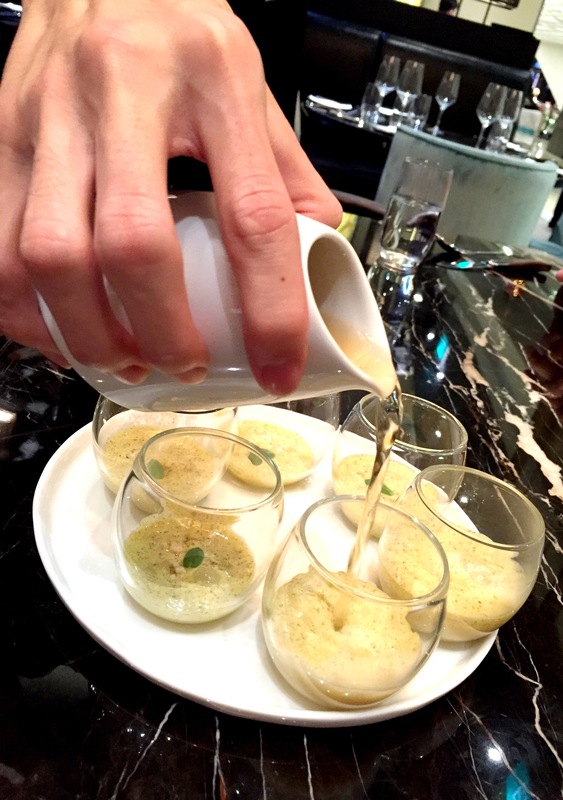 Saveur Art is a relatively new addition to Ion Orchard offering premium French dining. 6 of us went for dinner at Saveur Art. For a fine dining restaurant, I would expect the restaurant to have more privacy with tables placed further apart. However, it’s more like a bistro or cafe, very simple decor and gets really noisy when the restaurant is full. To make up for this little disappointment, their set dinner and ala carte menu looked pretty affordable. We ordered 2 sets and 2 additional mains. Surprisingly the buttermilk poached chicken was one of the highlights. 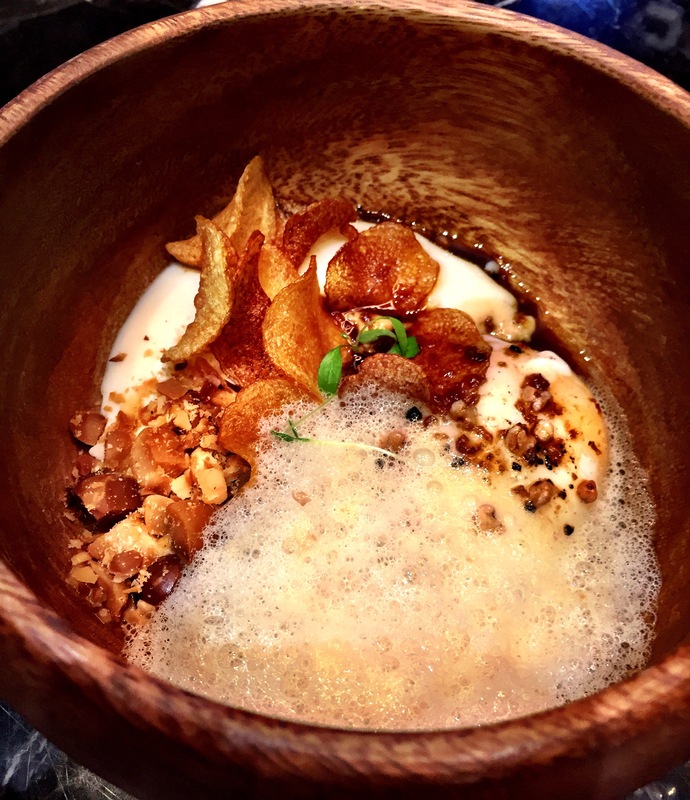 egg confit & truffle – truffled mouselline potato, roasted macadamia nuts, brown butter. This dish was the most popular among many bloggers. Albeit interesting due to the different textures, was nice but not amazing. 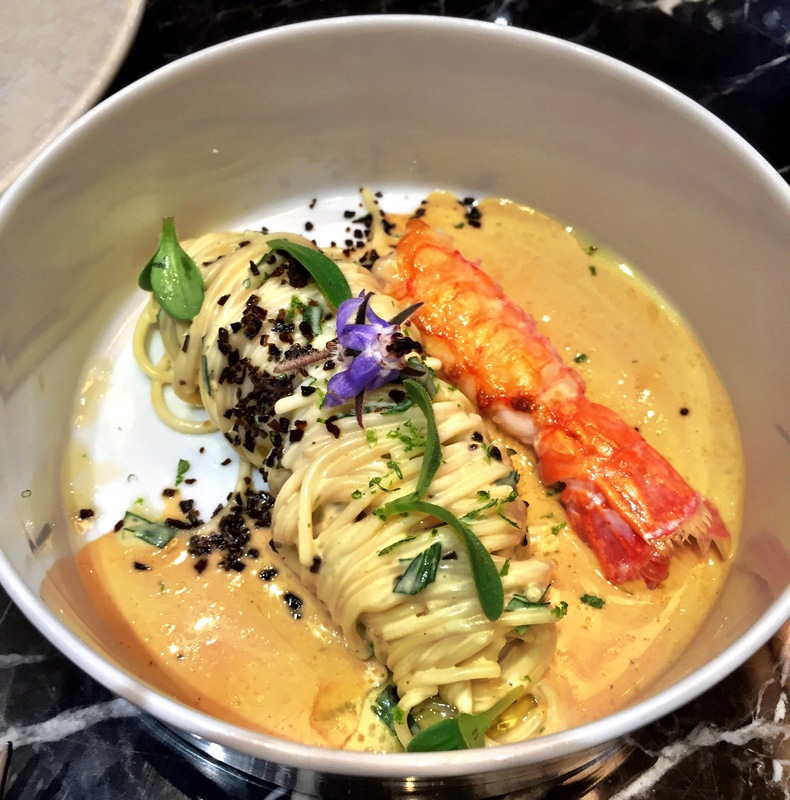 Saveur Art’s pasta – langoustine, cold angel hair, olive oil emulsion. 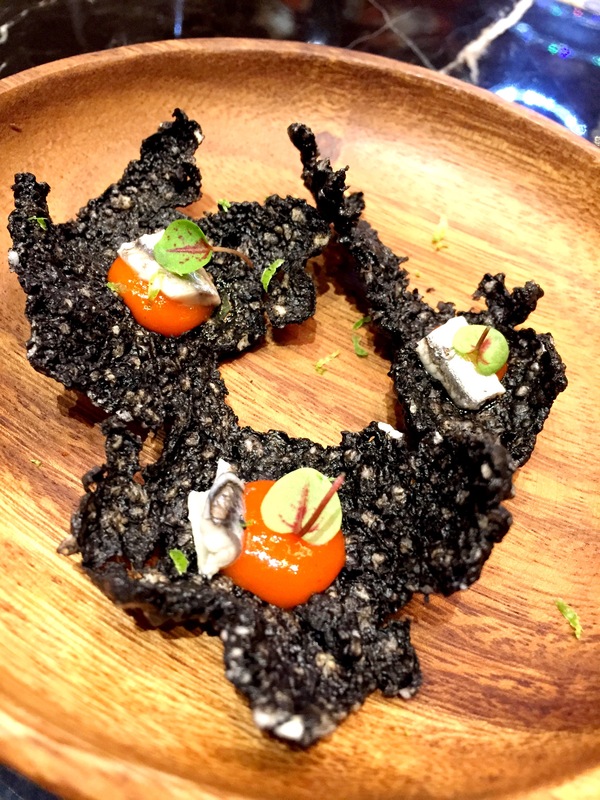 Another raved dish which was pretty disappointing. The pasta was bland. 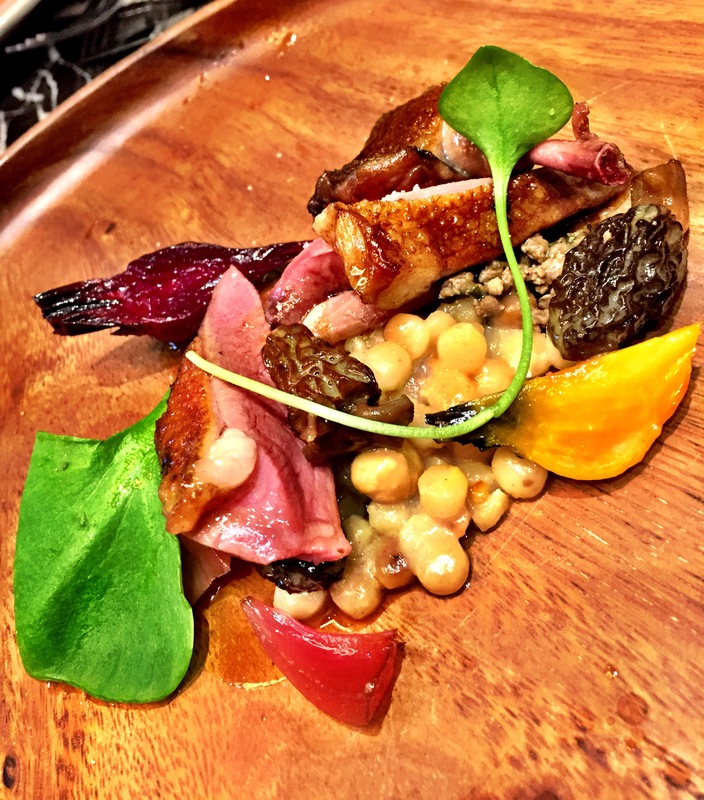 Roasted French pigeon – couscous, beetroot, pickled morels, liver vinaigrette. Sounds pretty adventurous and full of layering. This dish was average though pigeon was roasted well, skin was crispy. 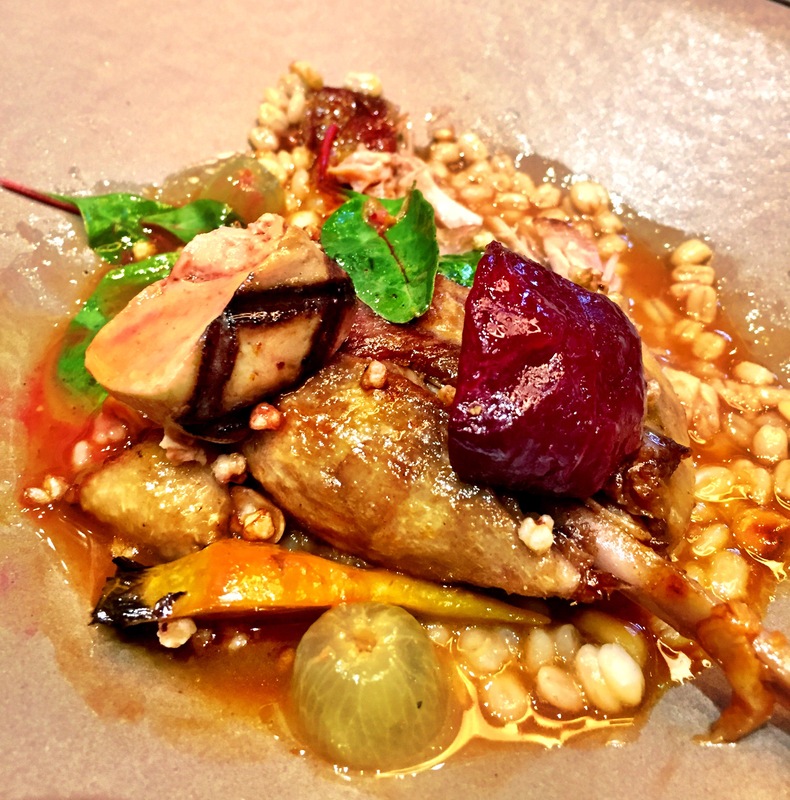 Duck leg confit – barley risotto, grapes, beetroot, foie gras infused moscato jus. Crispy skin, tender meat with a nice sauce to go with. 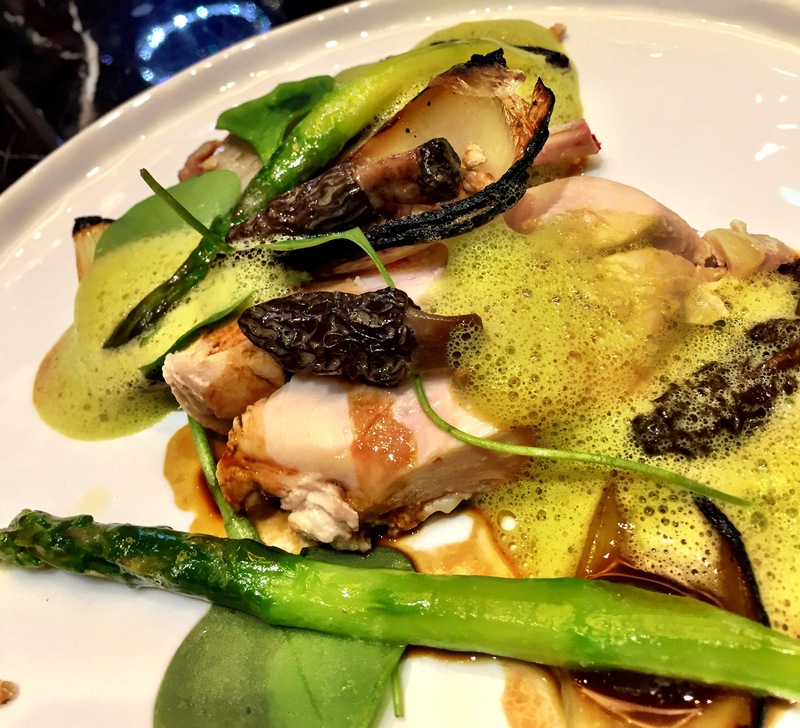 Buttermilk poached chicken – asparagus, pickled morels, brown onion jus. This simple unassuming dish was my favorite. The tender chicken and the flavors of the onion jus married well. The sweet asparagus and morels were such a delight. 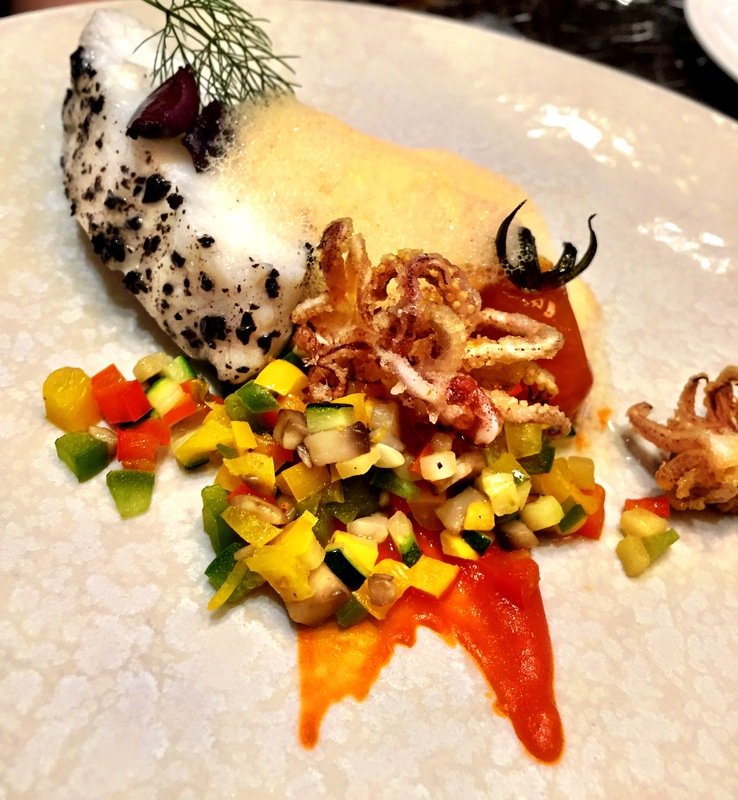 Slow cooked cod in olive – fried baby squids, legume, artichoke, paprika foam. Melt in your mouth cod with an interesting pairing with fried squid. Nice! 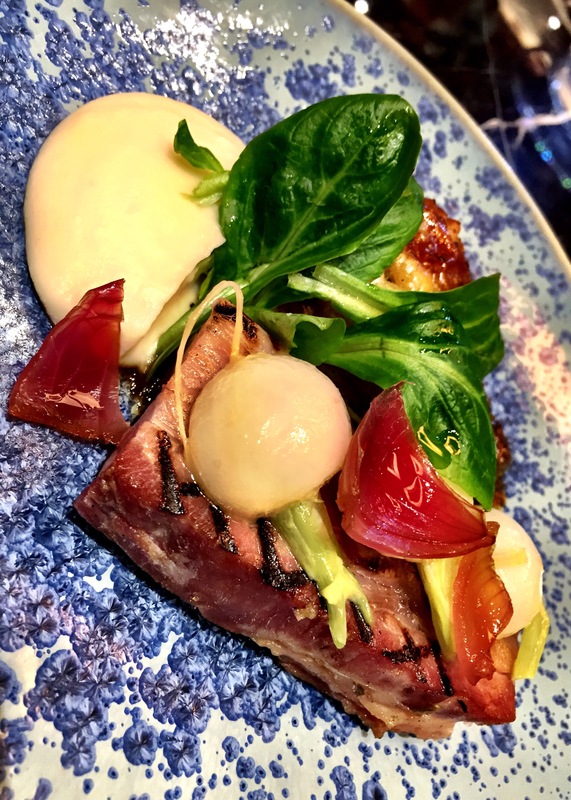 Mangalica pork 2 ways – pork belly, pork cheek puff pastry, celeriac purée, and a rich sauce of Madeira wine and truffles. This dish was literally a hit and a miss. 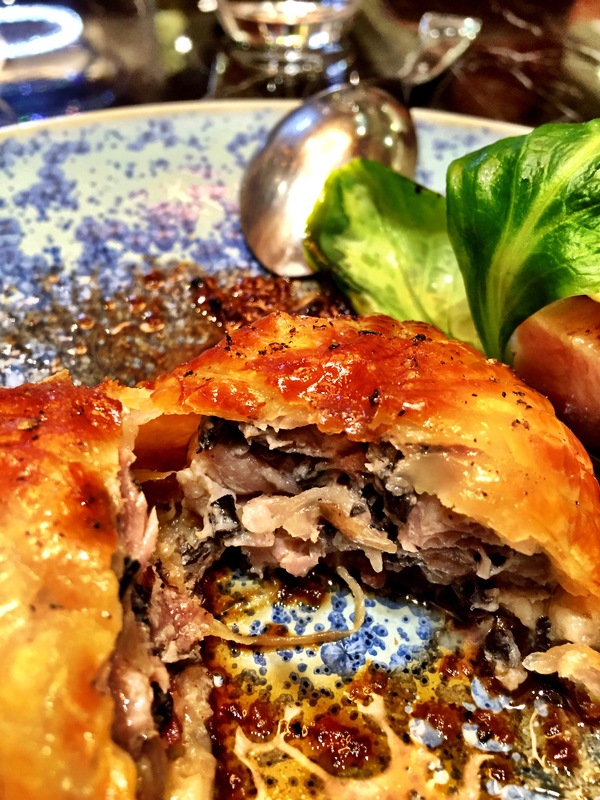 The pork belly was delicious but the pork cheek pastry was disappointing. 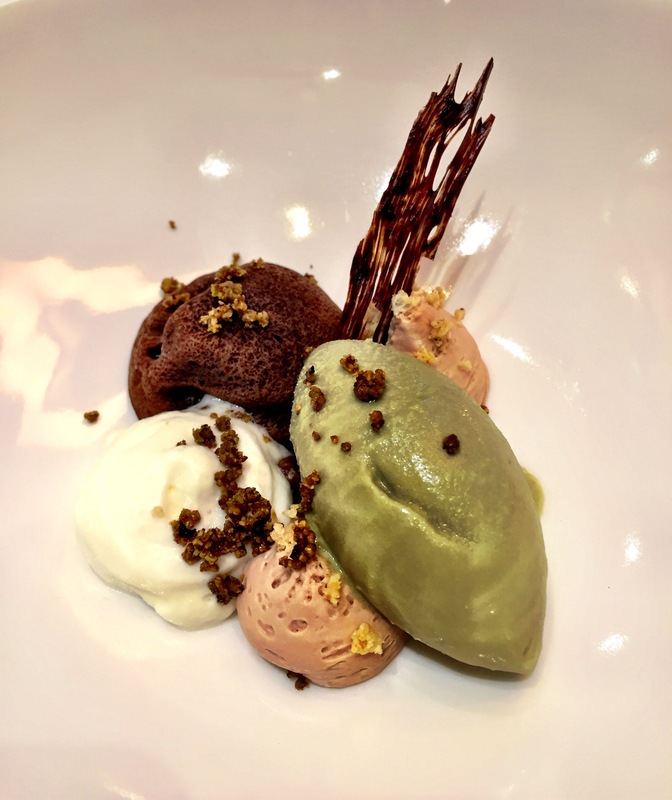 Dessert – chocolate and pistachio, butter chocolate fondant, sweet chocolate mousse, white chocolate foam, 72% chocolate chips, pistachio ice cream. The different blends of chocolate made this an enjoyable dessert. whoa what an amazing presentation of food! ← A wonderful dinner by Jimmy Chok!